Online trading journal software including trade planning and money management. The smart way to plan, journal and learn from your trades. 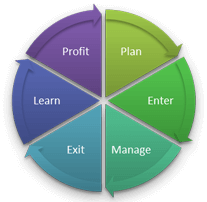 You get a structured approach to becoming more profitable. For free.